The exporters' body also points out that the tax authorities have not been trained in GST Law, Rules & Regulations delaying the refund of exporters. Apex export promotion body Federation of Indian Export Organisations (FIEO) has sought urgent measures to help small and medium scale exporters tide over liquidity crisis arising out of delay in tax refunds and input tax credits. "As per our estimate, refund over Rs 20,000 crore are pending on account of Integrated Goods and Services Tax (IGST) and input tax credit (ITC) and many exporters have not been able to file the refund of ITC due to technical glitches as input tax credit and exports happened in different months," says Ganesh Kumar Gupta, President, FIEO. Stating that the fortnight clearance drive by the tax authorities to clear the GST refunds claims was a success, Gupta wanted similar measures to liquidate the pendency and bring the refund process on track. "The challenges on GST front are continuing though the fortnight clearance drive, which was highly successful, gave us the hope that refund will be provided on real time basis. While claims over Rs 7,000 crore were cleared during March, 2018, the amount in April, 2018 is little over Rs 1,000 crore. The GST refund process has considerably slowed down after the clearance fortnight. FIEO urges the finance minister to look into the refund problem and organise a clearance drive to liquidate the pendency and bring the refund process on track", he says. According to FIEO, majority of the problems relates to ITC refund which has to be done by the States. "The process of ITC refund is partly electronic and partly manual which is cumbersome and add to the transaction cost. The tax authorities are reluctant to accept the applications and raise piecemeal objections asking for irrelevant documents including copy of bank realization certificate. The refund formula to apply for refund for a relevant period has not been modified in the software with the result a large number of exporters could not file their claim for ITC refund", states FIEO. The exporters' body also points out that the tax authorities have not been trained in GST Law, Rules & Regulations delaying the refund of exporters. "The process which requires the State Authorities to process the refund of SGST and forward it to Central Authority for payment of CGST and vice-a-versa is quite time consuming. In many cases, while one authority has sanctioned the component of tax under its jurisdiction, the other authority either delayed it or yet not issued it. The provision that 90% of ITC refund will be issued within 7 days is not being implemented by tax authorities. Some of the States say that they do not have funds to clear the ITC refund", they say. (1) The problem of refund of IGST at ICD continues. The EGM, if incorrectly filed by the shipping lines, delay the refund process. In many cases, when shipping companies file the correct EGM, ICEGATE reject such EGM. The exporter is tossing between customs and shipping lines. Government should accept the onboard copy of bill of lading and clear the IGST refund as has been done for invoice error. (2) The Refund for Exports from Non-EDI Ports has not yet started which is affecting India's exports to its neighbouring countries particularly Nepal & Bangladesh. (3) The IGST refund has slowed down after March, 2018 and most of the exporters are waiting for their IGST refund for the month of April or even for a prior period. (4) In many cases, the drawback rate (both higher & lower) is the same. While one rate is given in Column-A the other is given in Column-B. 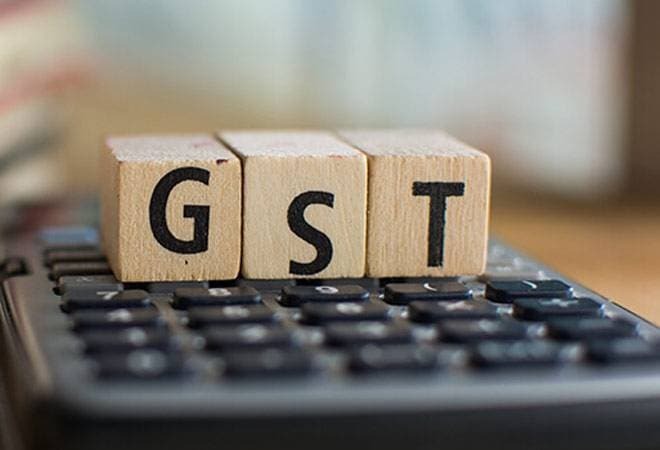 If exporter has wrongly mentioned A, the GST refund for the month of July-Sept is denied while the exporter has not claimed higher drawback since both rates of drawback are the same. (5) The GST data was hitherto being captured on monthly basis but from February onwards, the same is captured on cumulative basis. Therefore, if there is an error in GST return for any month, the cumulative figure will also be incorrect. With the result, the refund to such exporters has virtually dried from February 2018 onwards. (6) The error in GSTR-3B has not yet been allowed to be rectified affecting the refund for the export sector.